Soccer sports camps in Fire Island Pines, Suffolk County, NY & year round Soccer clinics and recreation are provided by the United Soccer Academy (USA). 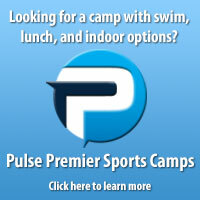 Fire Island Pines Summer camps and sports classes are designed for all ability levels and players aged 3-14. For more information or to register for soccer camps in the area please click on the following search which represents our current Fire Island Pines, NY summer camp & sports class offerings.